Nokia recently introduced several low budget category handsets which attracted normal customers and sellers all over the world especially in India. Here we examine a mobile phone named Nokia 114 which launched recently with dual SIM and nominal price tag. Nokia 114 comes with 4.57 cm TFT LCD display and it features QVGA color screen and alphanumeric keypad. The mobile phone has VGA front camera for capturing images and capable of recording QCIF videos at 15fps. Nokia 114 enables 16 MB internal memory and 64 MB mass memory. There is a memory slot on the handset. Also enables 32GB of expandable storage via micro SD cards. 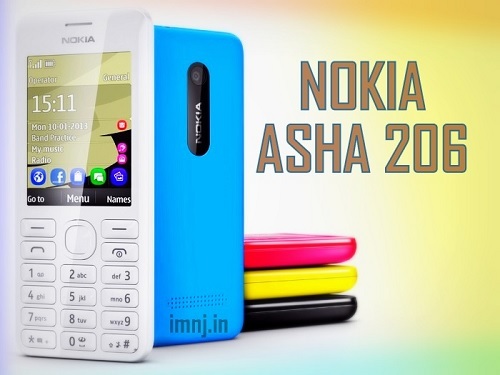 Nokia recently announced another dual SIM handset includes their Asha series named Asha 206. The device enables the same features of Nokia Asha 205, another dual SIM mobile form Asha series. Asha 206 mobile phone is a QWERTY keypad handset which comes with a bar styled design and 2.4 inch QVGA TFT LCD display with 65K colors. The handset enables 2G and Bluetooth connectivity. Nokia Asha 206 has 10MB internal memory and 32 GB expandable memory. There is a memory slot on the device which helps expanding storage memory up to 32 GB via micro SD cards. The handset sports 1.3 mega pixels rear camera for capturing images and video recording. 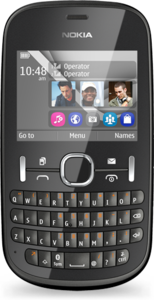 The Nokia Asha 206 has also setup one Facebook button and pre-installed apps like eBuddy Chat and Twitter. The handset can easily connect with popular email accounts such as Gmail and Yahoo. The handset also provides 40 free games from EA. Nokia Asha 205 runs Series 40 Asha operating system with single-SIM and dual-SIM options. Nokia's EasySwap technology for changing SIM cards without having to turn off the device also enables the device. The device has included Nokia Xpress Browser which provides 90% data compression for reducing your browsing costs. The mobile phone is one of the first Nokia device which enables Nokia’s new Slam technology. The new Slam technology provides easier file sharing through Bluetooth without a paring. The handset provides 20 hours talk time both single SIM and dual SIM options. The Nokia Asha 206 will be available in Orange, Magenta and Cyan colors. 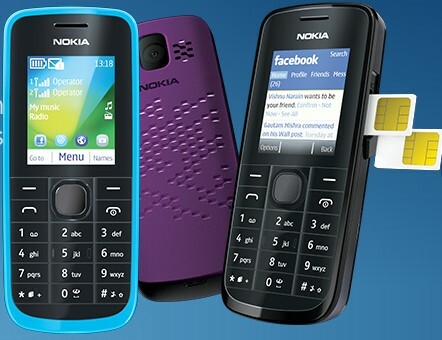 Nokia again expands their Asha series - the Company recently announced their new QWERTY handset named Asha 205. Nokia Asha 205 comes with a 2.4 inch TFT display. The handset enables 2G connectivity along with Bluetooth. Nokia Asha 205 has 10MB free user memory and 32 GB expandable memory. There is a memory slot on the device for expanding storage memory up to 32 GB via micro SD cards. The handset has VGA rear camera for capturing images and video recording. The Nokia Asha 205 has sports a Facebook button and pre-installed apps like eBuddy Chat and Twitter. The handset can easily connect with popular email accounts such as Gmail and Yahoo. The handset also provides 40 free games from EA. Nokia Asha 205 runs Series 40 Asha operating system with single-SIM and dual-SIM options. 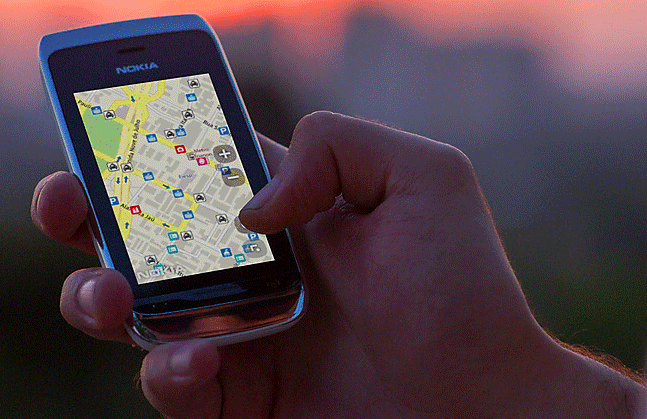 Nokia's EasySwap technology for changing SIM cards without having to turn off the device also enables the device. The device has included Nokia Xpress Browser which provides 90% data compression for reducing your browsing costs. The mobile phone is the first Nokia device which enables Nokia’s new Slam technology. The new Slam technology provides easier file sharing through Bluetooth without a paring. The Nokia Asha 205 will be available in Orange, Magenta and Cyan colors. 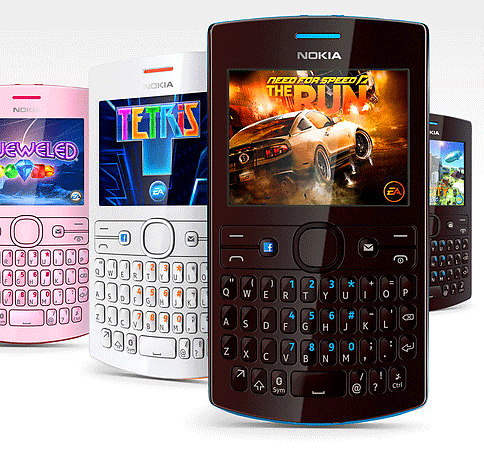 Nokia launches two new smart phones named Nokia Asha 308 and Nokia Asha 309 both are included in the Nokia Asha series. Hear we try to a close look about the dual SIM connectivity smart phone Asha 308 it comes with a brilliant 3 inches TFT capacitive Multipoint full touch screen and 2MP camera. Nokia Asha 308 provides LCD Trans missive display technology with 400 x 240 pixels resolution. Nokia Asha 308 has 64 MB internal memory and 128 mass memory. There is a memory slot on the handset which is suitable for micro SD cards. The handset has available a maximum of 32 GB expandable memory support via micro SD cards. Nokia Asha 308 has 2 mega pixels rear camera with 1600 x 1200 pixels resolution. There is no LED flash. Fixed focus and 4x digital zoom are other features of the camera. 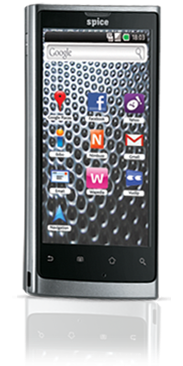 Nokia Asha 308 is powered by a standard BL-4U model 1110 mAh Li-Ion battery which provides 6 hours talk time and 510 hours standby time. According to Nokia SHOP Merchants, the Nokia ASHA 200 is the best seller Dual SIM Mobile Phone this year. Nokia Asha 200 is one of the stylish squeezed GSM phone from Nokia with multiple SIM compatibility. The well-spaced QWERTY keypad helps you to type messages more easily. Nokia Asha 200 Dual runs on a Series 40 operating system. Nokia Asha 200 has 2 megapixel camera with 4x zoom. The brilliant 2.4- inches QVA TFT display screen lets you to view applications with extra clarity. The Nokia Asha 200 mobile is smooth and light as it measures 115.4 x 61.1 x 14.0 mm in dimensions and weighs 105 g. The phone powers a BL-5J (1430 mAh) battery, which provides a talk time up to 7 hours and Standby up to 860 hours. Nokia Asha 200 has an internal memory of 10 MB which is elastic up to 32 GB using a micro SD and micro SDHC cards. Connectivity options like Bluetooth and micro USB port provides you to share videos, images and songs with other devices. The web services allow you to access social networking sites like Facebook and Twitter. Other features such as games, life tools, Nokia music unlimited and many more are available on the handset. Nokia Asha 200 is available in Graphite, Green, Blue, Aqua, Pearl White, Light Pink, Pink and Orange colors. Nokia Asha 305, newly introduced smart phone from Nokia is a high end Dual Band. Nokia Asha 305 has 2 Mega Pixels Camera with 4x digital zoom that will fulfill your normal needs. Nokia Asha 305 has a 3.0” TFT Resistive Touch Screen with 400 X 240 Pixels Resolution. Up to 40 hours music play back time and 9.5 hours video playback time is the clear evidence of the power of Nokia Asha 305 battery. An advanced LCD transmissive display technology help us a crystal clear visual experience. Nokia Asha 305 has a newly designed Operating system named ‘S40 Asha’. Radio features in Nokia Asha 305 is in a good faith. FM radio with stereo interface and FM recording will attract normal users to buy it. Nokia Asha 305 supports all java games. Nokia Asha 305 has QVGA video camera with 4x video zoom. You can capture maximum length video clips up to the maximum capacity of your free memory. ‘Spice’- the name of smart solutions introduced a new mobile device named Spice Mi-410, a dual band. It can equally consider any other Company smart phones such as Samsung, Sony, Nokia and BlackBerry. 1 GHz processor in Spice Mi-410 offers a rapider and effective entrance across multiple sources. Android Version (2.2) OS uses more elegant home screen features. 5 Mega Pixel camera with a powerful digital zoom. 10.25cm capacitive screen with touch input method. Spice Mi-410 considers their costumers satisfaction. Spice- 410 Mobile phone designed a brown colour body. It gives us a good looking smart phone and Motion Sensor- G-sensor supported. Ringtones: You can download verity ring tones in the Mobile world. Nokia 110, simple and reliable. Fulfill the ordinary people’s basic need. Nokia 110 will launch next month. The Nokia 110 dual SIM Mobile phone attract us its nominal price and user-friendly standard design. Basic mobile facilities deliver to Nokia 110 such as clarity of sound, music and video, F M radio etc. Apart from that Web browsing, faster download, SIM swapping without turning off the device, Call, text or browse in our preferable network etc. are advanced facilities. About 27 hours music play back time and 10.5 hours video play back time, Expandable memory up to 32 GB with SD (Secure Digital) Card, Stereo Bluetooth are the key specifications of Nokia 110. WMV, 3GPP (H. 263), AVI and ASF video formats are supported.